Lisa Wins Race For Cure 5k! & Runnababez Racing Weekend Recap! 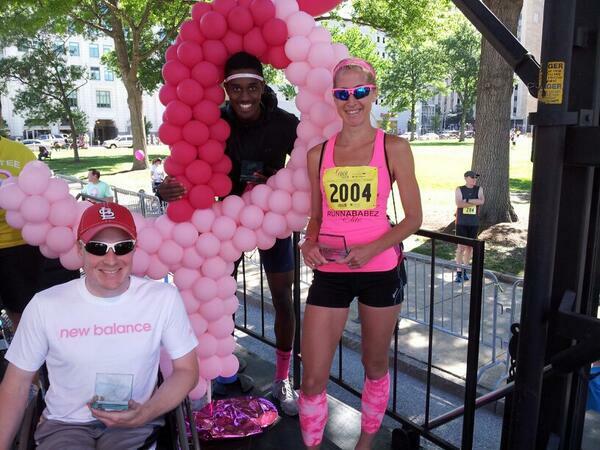 Lisa Cary repeated as the women’s champion, as she won the Race for the Cure Saturday in downtown St. Louis! She ran the hilly 5k course in 18:33. Carine Rossouw finished in 5th place overall, and Lauren Hubbard finished up in the top 10 coming in 8th place overall. Lisa, Carine & Lauren ran amongst 40 thousand runners and walkers supporting the cure for breast cancer. Meanwhile, Juli Stults was over racing the Steamboat Classic 4 mile, in Peoria, Illinois. She finished 4th place overall in the elite field with 24:06. Sunday saw the Runnababez toe the line at the GO! All-American 5k in Kirkwood, MO. 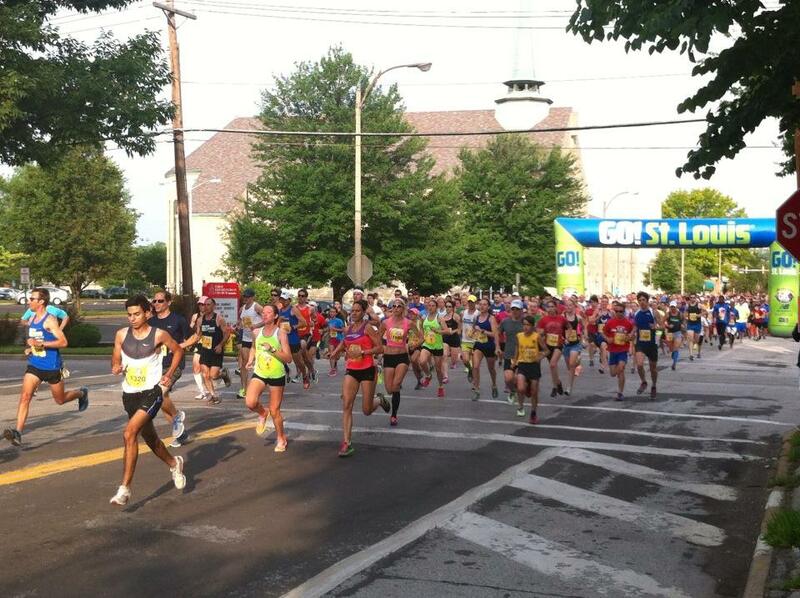 It is one of the most competitive 5k’s of the year in St. Louis, featuring most of the top runners in the area. Lisa Cary lined up again after running Race for the Cure the day earlier, and threw down all she had in the tank, to finish in 17:24 for 3rd place overall. Amanda Albrecht ran to a new 5k Road PR of 18:52! Breaking the 19 minute barrier for the first time, and finished 7th female overall. Carine Rossouw also toed the line again after running Race for the Cure the day earlier, 14th overall and finished at 19:57. Carine’s daughter Lene age 8, is following in her footsteps, as she won the kid’s mile in just under 8 minutes! Her son JD also ran in the kid’s mile. 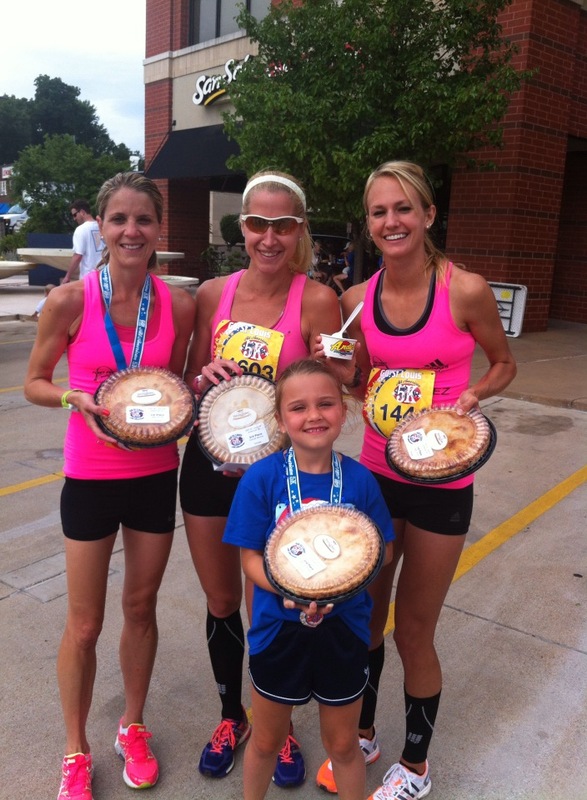 All the Runnababez placed over-all, or in their age-groups and brought home the prize of a McArthur’s Apple Pie!